A former Confederate soldier journeys to the transcontinental railroad to seek vengeance. 9:30pm Monday ABC2. @Secret Squirrel there has been already 2 seasons screen in the US. Third season being filmed now. Saw the ads for this. Looks pretty stylish. It only started in the US in Nov 2011 so it hasn’t taken that long to make it to Aus FTA. 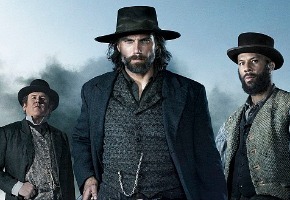 Hell on Wheels a Great Show for the people who have not seen it. Taking awhile to screen on FTA.